January 25, 2016 January 21, 2016 Amanda B. An activity that combines math, literacy and art?!? And it’s free? Surely that does not exist… Until now! These great writing prompts use 2D shapes as starting point for a student’s endless creativity. They can turn their shape into anything they wish – their imagination can be put to good use! 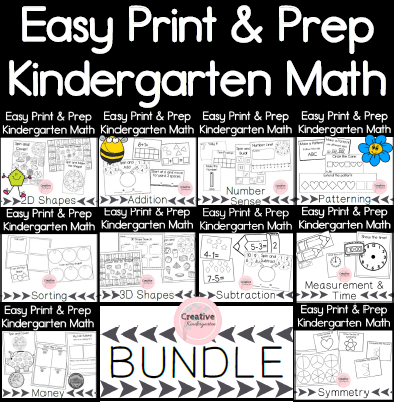 Combining literacy, math and art, these sheets touch on a range of subjects and will allow the students to explore shapes in a different way. This set includes a page for each of these shapes: triangle, square, circle, rectangle, oval and rhombus. Before beginning this activity, we read the book Not a Box and spoke about how we can use our imagination to make ordinary things extraordinary! If you have not yet read this book with your class, I suggest you do it. It is so simple, yet holds a powerful message. In an age of technology, children can always be reminded to use their imagination!